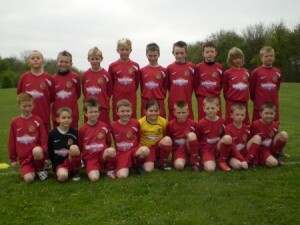 Ossett town Juniors run over twenty teams from ages under 7 to under 17. We also run two girls/women’s teams thereby providing opportunities for almost everyone. In addition to this we also run an Academy team at the under 19 age level. Many of our Juniors have progressed right through to the Academy and even on to first team football. James Walshaw is the number one striker in non-league football this season, scoring more goals than any other non league player in the country. Like his first team colleagues, David Briggs and Joe Walsh, James is a product of Ossett Town Juniors. Most recently, Academy players like Andrew McManus and Oliver Rawson have made their first team debuts. Our Junior Managers are all of the relevant FA standard and we pride ourselves on the quality of our coaching. Like many other sports, football can serve as an outlet for energy which might otherwise be spent on “less productive” pastimes. At Ossett Town Juniors we recognise our responsibility to ensure the time we spend with our players is used not only for good coaching in football but good coaching in life. This is the brief that our Junior Managers are given and are more than happy to adhere to. If you would like your son or daughter to join one of our age groups then please don’t hesitate to contact the club to arrange their attendance at a training session. All newcomers are welcome and will be given ample opportunity to establish themselves within a team.